Psych navigates the pop culture interests of creator Steve Franks in two distinct ways: direct homage episodes like last season’s Twin Peaks semi-reunion “Dual Spires,” or episodes in a certain genre style, such as comic book superheroes in “The Amazing Psych-Man & Tap Man, Issue #2” or the Hitchcock thriller finales of the third through fifth seasons. Those finales are my favorite episodes of the show, when I can actually feel palpable tension and excitement, and not just an extremely laidback attitude to how Shawn goes about solving cases. 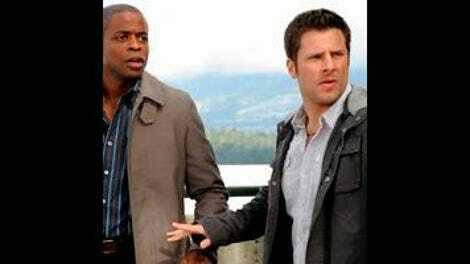 Every once in a while, though, Psych manages to whip up some grade-A entertainment that overwhelms the show’s flaws. The homage heavy episodes tend to get bogged down making wink-wink type references to their source material, but the genre experiments have a better track record. They can be good examples of a contemporary show putting its own twist on established structures, not unlike some of the best episodes of Community. Though tonight’s hour rests somewhere in the middle of the two types of pop-culture inspired Pysch episodes, “Indiana Shawn and the Temple of the Kinda Crappy, Rusty Old Dagger” is without a doubt the best episode of the season so far, featuring the return of Cary Elwes as art thief Pierre Despereaux, one of the best guest stars in the history of the show. A very wealthy art collector stipulated that 50 years after his death, the extent of his collection would transfer from the Louvre to Santa Barbara’s Art Museum. Yeah, that’s ridiculously implausible, but I’m willing to suspend that canyon of disbelief because of how much fun Psych has with the premise. Shawn and Gus are responsible for guarding a back entrance to the museum, but a pretty woman being robbed distracts them, and the collection is promptly stolen. Luckily, Shawn dropped his GPS watch into one of the crates when he thought he saw “one of those cool European candies that taste like salt” inside. Shawn calls up Pierre Despereaux, who’s on trial but out on bail, in order to help them track down the stolen goods. They go to a warehouse, where Shawn does his Indy impression, and watch as the woman they saw being robbed is the head of a group searching for the art collector’s rumored “core collection” of priceless paintings. The first clue to tracking the collection down is a Civil War dagger, which Despereaux steals from the other thieves, but in the ensuing chase out of the building and onto nearby boats, Mederos corners Despereaux and triggers an explosion which kills Pierre…or does it? There’s a lot more plot to this episode, but there’s no real need for a lot of summary. It’s a thrill ride with a lot of jokes, great banter between Shawn, Gus, and everyone else, some excitingly over-the-top set pieces, and a pretty compelling mystery. Whenever Despereaux shows up as a recurring character, Shawn adopts a deferent attitude, which is much better than his typical insufferable arrogance. He even calls Pierre "the coolest guy on earth" and is definitely affected when faced with the real possibility of his death. Gus is comforted by the fact that Shawn, and their business, will inherit Pierre's assets, but Shawn's insistence to continue down the road towards mythical treasure takes them away from police work and into more hijinks. He and Gus still bicker constantly, even getting into a rather comical fight that reveals a clue about how to use the dagger to find the core collection. I really enjoyed the twist that the core collection is made up of the collector’s own work. As Shawn says, nobody would ever go through such a big adventure, solving all the clues and going to such great lengths if they thought it was something as ordinary as a collection of personal drawings. Even though that reveal was telegraphed the moment the tour guide mentioned the guy dabbled in painting, but none of his work was ever found, that moment still worked. It’s profound in a very small way, a good observation on how everyone wants to give their life meaning and significance in the minds of others after death. That’s perhaps reading a bit much into the moment, but any time Psych can make me have an emotional realization with a touch of complexity while I’m laughing and having a good time, I know it’s achieving some of its best work. Henry into the story in any meaningful way. They show up, they have their lines, but this is a Roday/Hill/Elwes story, as they race against Mederos in search of the core collection. But that small amount of disappointment doesn’t sully the rest of an extremely successful episode. I doubt this genre special is indicative of anything to come for the back stretch of Psych’s sixth season, but this is a definite high point. A dash of serialized plot development, a well-employed recurring character, and an admirable approximation of a classic adventure series adds up to one of Psych’s more triumphant stylistic homages. It’s a nice touch to have Despereaux uncover a hidden painting - presumably the lost Rembrandt - beneath the one he absconded with — he’s one of the only characters able to remain a few steps ahead of Shawn, which keeps him in check, if only slightly. 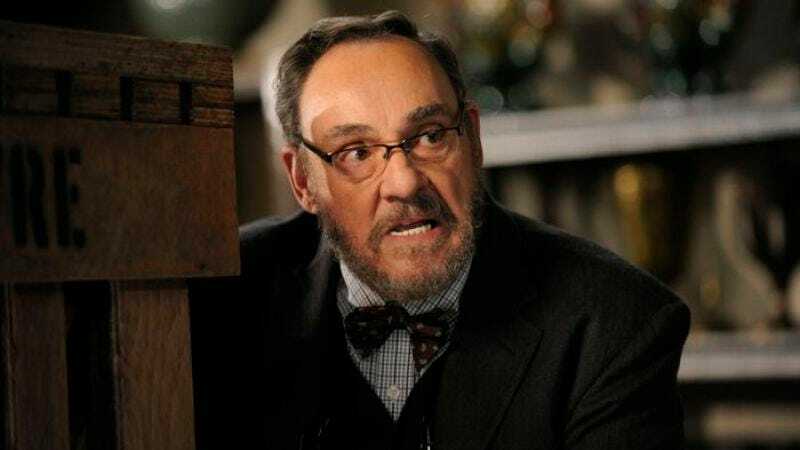 John Rhys-Davies has a nice little turn as the art museum curator. It’s nice to see somebody from Raiders in the episode, and Sallah is a fine choice.